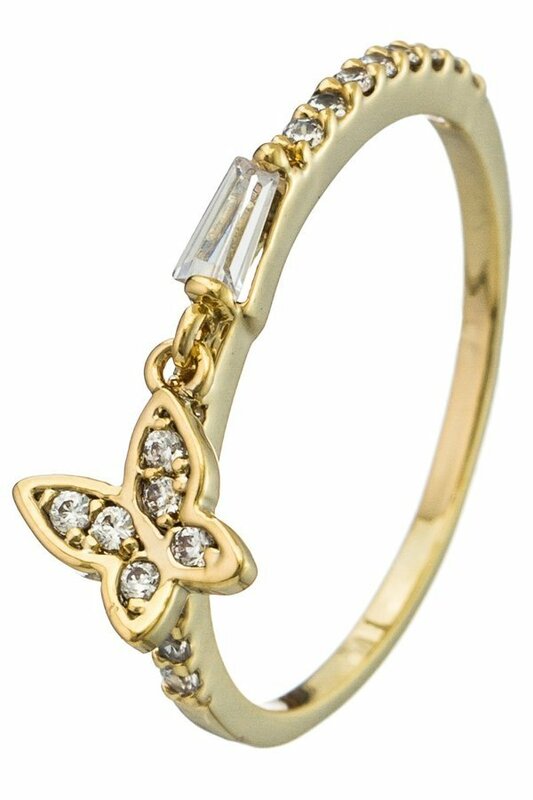 Description: Delicate brass ring with a dangling butterfly charm. 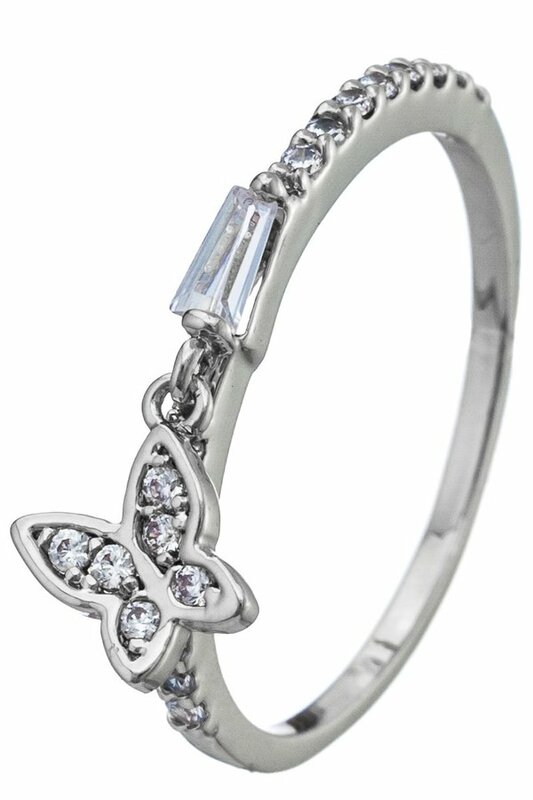 CZ pave. Size 7.